Originally, the installation of a digital matrix and the use of a digital mixing console was planned, which was then renewed by the manufacturer Salzbrenner Media Group 2006 at the current location in the control room behind the rear wall of the hall. The digital matrix is connected to the stage and under-stage areas, the studio, the hall, the ceiling and the rehearsal rooms. The renewal of the sound system loudspeakers was not carried out until 2014, since the then existing loudspeakers were to a arge extent unusable due to flood damages. The renewal of the stage management system encompassed the areas of intercom central unit, stage control console, intercom stations, call stations, light system, assistive listening system and video system. The stage control console was equipped with several monitors, with which the pictures of the video system or the screen contents of the machinery can be selectively displayed. A challenge of renewal task was the widespread use of the old cable network. 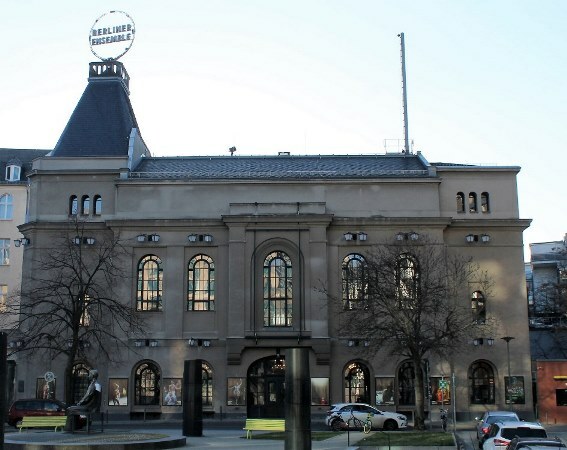 The large building was not the only building involved in the project, but also two rehearsal stages located in different buildings and the old rehearsal stage as independent venues, with a remote small mobile stage control console. The renewal of the stage management system was completed during a summer break in 2010.